“It Doesn’t Take a Genius” to #NoteTheDifference. That’s according to Samsung, which has just released a series of half-minute video ads touting its recently announced Galaxy Note 4 smartphone and Gear S smart watch while poking fun at Apple’s newly unveiled iPhone 6, iPhone 6 Plus, and Apple Watch. 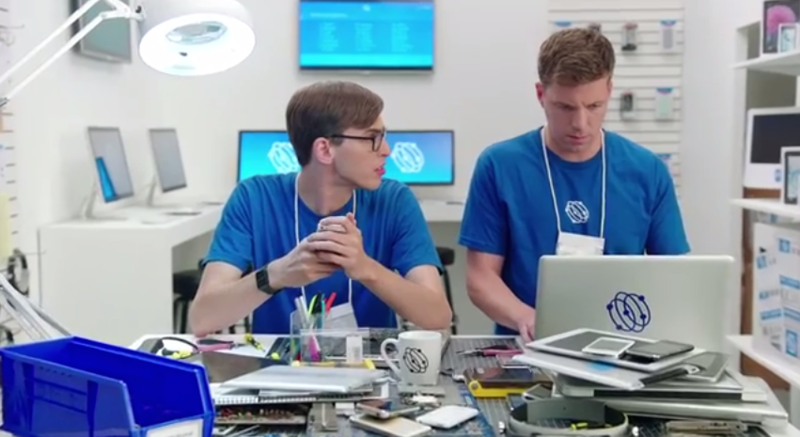 The videos show a couple of so-called Geniuses — parodying Apple’s Genius tech support staff, of course — in skits that essentially point out key differences between Samsung’s flagship offerings and Apple’s. If you can’t see the videos embedded above, please click here, here, here, and here. 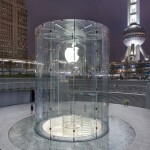 Apple is set to release the iPhone 6 and the iPhone 6 Plus on Friday, Sept. 19, and the Apple Watch early next year. Samsung is scheduled to launch the Galaxy Note 4 and the Gear S this fall.